The Council on Foreign Relations, throughout its ninety-five-year history, has served as a resource for members, policymakers, and other interested citizens to help them understand the world and the foreign policy choices facing the United States and other countries. Traditionally, the Council’s role has involved interacting with executive branch officials, members of Congress and their staffs, business leaders, diplomats, journalists, and leading academics. This is all essential, but it is not sufficient. The Council must reach a larger swath of the American people—college and high school students in particular—if future generations are to successfully navigate a world filled with risks and opportunities alike. In today’s globalized world, where information and a great deal else flows across borders, global literacy—the essential knowledge, skills, and perspective required to navigate a complicated, connected world—is vital. Unfortunately, American students are learning less about the world as schools continue to reduce required instruction in history, geography, and civics. Meanwhile, students can graduate from even the best universities without ever taking a class on international affairs or world history. To narrow this gap between what students need to know and what they do know, the Council is launching CFR Campus, a new initiative and digital hub for educational products. These resources will help Americans become better informed and better equipped to meet the challenges of the twenty-first century. The United States competes in a global job market, and American students require a global understanding to stay competitive. Beyond that, there are positions in the civil service, the foreign service, the military, and the intelligence community that can best be filled by Americans with global knowledge, basic skills, and international perspective. And all Americans, no matter their professional fields, are voters and citizens of a democracy and thus need to have a basic understanding of how the world works and America’s place in it. As a result, CFR Campus has become a top priority for this organization and for me personally. This move toward expanding the Council into an educational organization in addition to its role as a think tank, publisher, and membership organization has been in the works for over a decade. We began by broadening the reach of many of our traditional products. Among the things we have been doing to connect CFR’s work with educators are a bimonthly, interactive conference call series for students to hear from CFR experts on topics in international affairs; annual workshops for college and university presidents, professors, and high school teachers; and briefings for students, including an annual back-to-school event in the fall. The Council also disseminates publications from the think tank with accompanying teaching notes, and shares video and transcripts from on-the-record Council meetings for the use of educators and their students. This year saw the start of CFR Campus’s line of original products. Model Diplomacy is a National Security Council simulation that uses hypothetical case studies, built on real-world issues and informed by CFR’s experts, to help students understand the issues, institutions, and processes associated with shaping foreign policy. Students also develop the fundamental skills of a liberal arts curriculum, such as critical thinking, persuasive writing, collaboration, and public speaking. The interactive, multimedia, and classroom-based program incorporates blended learning, a combination of independent research and face-to-face interaction with instructors and classmates, which is widely embraced as the most effective teaching method today. It employs supplemental videos (many featuring Council members) and uses digital technology to inspire students. Model Diplomacy is free and, with its instructor guide and background reading, is as much a resource for teachers and professors as it is for students. The program can be tailored to accommodate the needs of any educational situation. Judging by the interest and excitement generated, we are filling a major void. Since its launch, Model Diplomacy has had instructors at over five hundred institutions register from across the United States and sixty-six other countries. Model Diplomacy and other more traditional products are all available online in the CFR Campus section of the Council’s website. Coming next will be modules on fundamental concepts and issues in international affairs and foreign policy, which can be used as a full course, as standalone resources, or as supplements to curricula. Topics will range from globalization, proliferation, and sovereignty to sanctions, arms control, and trade. Our goal with CFR Campus is that all American students—not just those already on a path of study in international relations—attain a deeper understanding of why the world matters and the critical role of the United States, something essential if they are to be competitive as individuals and meet their obligations as citizens, and if this country is to be able to continue providing leadership in and to the world for decades to come. 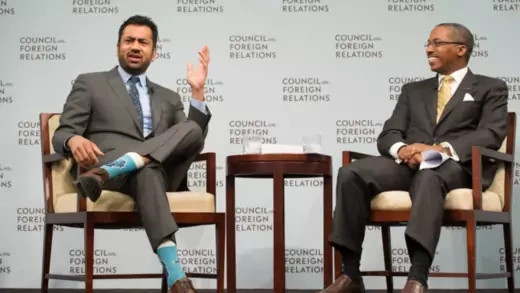 With its unmatched convening power, the Council on Foreign Relations is a destination for thoughtful, policy-relevant conversations with influential voices in foreign policy and international affairs. This year, CFR meetings brought members into dialogue with leaders and experts in government, business, and academia for substantive and timely on- and off-the-record discussions of critical global issues. Beginning with the UN General Assembly in September, CFR opened its doors to dozens of foreign officials and current and former heads of state, including Presidents Giorgi Margvelashvili of Geor­gia, Peter Mutharika of Malawi, and Hage Geingob of Namibia; Chief Executive of Afghanistan Abdullah Abdullah; Prime Minister of Tuni­sia Habib Essid; Prime Minister of Singapore Lee Hsien Loong; former Prime Minister of the United Kingdom Tony Blair; former Prime Min­ister of Ukraine Yulia Tymoshenko; and Vice President of Panama Isabel de Saint Malo de Alvarado. UK Chancellor of the Exchequer George Osborne, Japan’s Central Bank Governor Haruhiko Kuroda, Iran’s Central Bank Governor Valiollah Seif, Mexico’s former Finance Minister Luis Videgaray Caso, Greece’s former Finance Minister Yanis Varoufakis, and the foreign ministers of Angola, Argentina, Egypt, Iraq, Italy, Latvia, Myanmar, Somalia, and the United Arab Emirates all addressed Coun­cil members in New York or Washington, DC. CFR also welcomed a number of U.S. officials, including Secretary of Commerce Penny Pritzker, Secretary of Defense Ashton B. Carter, Sec­retary of the Treasury Jacob J. Lew, U.S. Trade Representative Michael Froman, and former Treasury Secretaries Henry M. Paulson Jr. and Law­rence H. Summers. Former Federal Reserve Chairman Alan Greenspan, Federal Reserve Vice Chairman Stanley Fischer, and Administrator of the Small Business Administration Maria Contreras-Sweet all spoke at the Council, as did the five military service chiefs for the Robert B. McKeon Endowed Series on Military Strategy and Leadership. As part of its Daughters and Sons series, CFR hosted Supreme Court Justices Stephen G. Breyer and Ruth Bader Ginsburg, Secretary of Agriculture Thomas J. Vilsack, and CFR Board Member and former Secretary of State Colin L. Powell at appearances packed with Council members and their high school– and college-age children and grandchildren. CFR’s CEO Speakers Series brought David M. Cote of Honey­well, Ryan Lance of ConocoPhillips Company, and Dominic Barton of McKinsey & Company, Inc., as well as Global Board of Advisors mem­bers Gail Kelly of Westpac Banking Corporation, Anand Mahindra of Mahindra Group, and Zhang Xin of Soho China Ltd. to address the Council. The Council had invited each declared presidential candidate to address its members; this election season Jeb Bush, Chris Christie, Hillary Clinton, John Kasich, Marco Rubio, and Jim Webb spoke at CFR meetings in New York or Washington. CFR responded to breaking news of global events by convening meetings, teleconferences, and media calls to inform members and the public. In the aftermath of the November terrorist attacks in Paris, the Council held a town hall meeting featuring CFR fellows, a video­conference meeting in New York and Washington, DC, discussing the implications of self-proclaimed Islamic State attacks on homeland security, and a meeting focused on terrorist financing. Following the Paris climate summit, the Council hosted Administrator of the U.S. Environmental Protection Agency Gina McCarthy and U.S. Special Envoy for Climate Change Todd D. Stern. With the world’s attention on the refugee and migrant crisis in Europe, the Council held meetings with Gregory A. Maniatis of the Migration Policy Institute and Nancy E. Lindborg of the United States Institute of Peace in Washington, DC, and with UN Special Representative of the Secretary-General for International Migration Peter Sutherland and Director General of the International Organization for Migration William L. Swing in New York. In the HBO-sponsored What to Do About… series, meetings mimic National Security Council sessions and speakers act as advisors to the president and advocate for their positions on complicated global issues. The topics this year were Turkey, Afghanistan, Syria, Russia, and cyberattacks. CFR hosted several multisession symposia this year, which offered members a full-day exploration of topics such as Japan, cyber­security, the future of Europe, international economics, global climate governance, and the geopolitics of China, India, and Pakistan. Keynote speakers at these events included former New York City Mayor Michael R. Bloomberg, Nobel Laureate Robert J. Shiller, Chairman of the Coun­cil of Economic Advisors Jason L. Furman, and Secretary of Homeland Security Jeh C. Johnson. More than three hundred term members attended the twentieth annual Term Member Conference in New York and heard from U.S. Ambassador to the United Nations Samantha Power and Administrator of the National Aeronautics and Space Administration (NASA) Charles F. Bolden Jr. Brett H. McGurk, special presidential envoy for the global coalition to counter the Islamic State and a former CFR international affairs fellow, spoke at this year’s International Affairs Fellowship Con­ference, which brings together Council members with alumni and cur­rent participants of this midcareer foreign policy fellowship program for scholars and professionals. CFR also hosted a three-day member trip to Seattle, Washington, as well as term member trips to Capitol Hill, the U.S. Naval War College, and Houston, Texas. Finally, CFR hosted the fourth annual Conference on Diversity in International Affairs in April. The two-day conference, attended this year by more than two hundred participants, is a collaborative effort by the Council, the Global Access Pipeline, and the International Career Advancement Program. The conference connects students and professionals from diverse backgrounds to career opportunities in international affairs. This past year, CFR’s National Program hosted nearly one hundred ses­sions in more than a dozen cities across the country and around the world for the plurality of members living outside New York and Washington, DC. Highlights included roundtable discussions on the Islamic State group, the Middle East, clean energy technology, and the global economy. In addition to teleconferences and livestreams of meetings in New York and Washington, the National Program held dedicated calls for National members on such subjects as the European refugee and migrant crisis, Russian foreign policy, and Saudi Arabia-Iran relations. A trip to Hono­lulu this spring gave members the chance to learn more about Hawaii’s strategic role in U.S.-Asia relations in the Pacific. In December, CFR held the first National Symposium on the West Coast. In December, CFR held the first National Symposium on the West Coast. The symposium began with a conversation between CFR Presi­dent Richard N. Haass and former Defense Secretary Robert M. Gates on global threats and U.S. foreign policy. CFR fellows, policymakers, and industry experts spent much of the next day discussing pressing global challenges, including cyber policy, energy technology, and health secu­rity. The symposium will now be an annual event. As always, the year ended with the National Conference in New York, which convened 460 members for three days of panels and discus­sions. This year’s conference opened with a conversation between Board Member and former Treasury Secretary Timothy F. Geithner and Rich­ard N. Haass on global economic and political risk. The conference contin­ued with sessions on the social, political, and economic backdrop to the 2016 U.S. presidential campaign; the U.S.-China economic relationship; the future of Europe; and technology and the economics of inequality; and featured conversations with Thomas R. Frieden, director of the Cen­ters for Disease Control and Prevention; and General Joseph F. Dunford Jr., chairman of the Joint Chiefs of Staff. CFR’s Corporate Program continued to grow with the addition of twelve new companies, bringing the total to 151 member companies from the United States and eighteen other countries representing a wide range of sectors. In addition, two companies upgraded to the Founders tier, totaling fifteen companies at the top corporate membership level. The program’s Senior Executives Breakfast series brings business leaders together with CFR experts for informal discussions on policy issues; this year, the series held meetings in New York and Washington, DC, featur­ing discussions with CFR Fellows Michael A. Levi, Kenneth S. Rogoff, Brad W. Setser, and Martin Wolf. 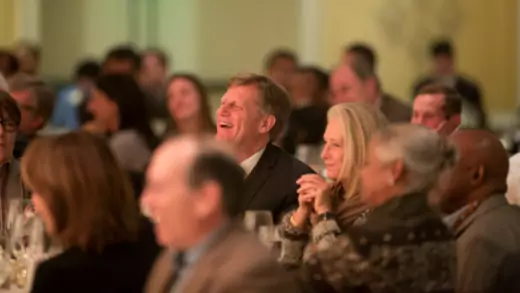 Representatives from over ninety corporate member companies attended CFR’s annual Corporate Conference in New York this April, which opened with a conversation with Indra K. Nooyi, chairman and chief executive officer of PepsiCo. The conference included panels on the global economy with former Chairman of the Federal Reserve Ben S. Bernanke, former Chairman of the Governing Board of the Swiss National Bank Philipp Hildebrand, and former Treasury Secretary and CFR Co-Chair Robert E. Rubin; on the 2016 U.S. presidential campaign with CNBC’s John Harwood and CNN’s Jake Tapper, moderated by CFR’s Senior Vice President and Director of Studies James M. Lindsay; and on geopolitical risk with Richard N. Haass and former National Secu­rity Advisor Stephen J. Hadley, moderated by National Public Radio’s Deborah S. Amos. CFR’s scholars published seven new books this year. Red Team: How to Succeed By Thinking Like the Enemy, by Senior Fellow Micah Zenko, inves­tigates the work of red teams—inside groups that challenge assumptions and existing consensus—and underscores the best practices, common pitfalls, and most effective applications of these modern-day devil’s advocates. In How America Stacks Up: Economic Competitiveness and U.S. Policy, Bernard L. Schwartz Senior Fellow Edward Alden and Rebecca Strauss, associate director of the Renewing America publications series, examine how the United States has responded to global economic compe­tition and benchmarks the United States against other advanced econo­mies. In The Hacked World Order: How Nations Fight, Trade, Maneuver, and Manipulate in the Digital Age, Ira A. Lipman Chair in Emerging Technolo­gies and National Security and Director of the Digital and Cyberspace Policy Program Adam Segal discusses how governments use the web to wage war and spy on, coerce, and damage one another. Senior Fellow Joshua Kurlantzick’s State Capitalism: How the Return of Statism Is Trans­forming the World argues that the rise of state economic planning and economic intervention in Brazil, China, Russia, South Africa, Thailand, Turkey, and other countries has contributed to a decline in democracy. War by Other Means: Geoeconomics and Statecraft, by Senior Fellows Robert D. Blackwill and Jennifer M. Harris, explores geoeconomics—the use of economic instruments to achieve geopolitical goals—and how the United States can use these tools in its foreign policy. Senior Fellow Ray Takeyh and Steven Simon, lecturer at Dartmouth College, argue in The Pragmatic Superpower: Winning the Cold War in the Middle East that amid the chaotic conditions of the twenty-first century, the United States should look to history to better understand how to contend with the challenges it faces today. In Morning in South Africa, Senior Fellow John Campbell posits that South Africa’s democratic institutions will weather its current politi­cal and economic challenges. In addition to these books, CFR scholars authored more than thirty reports, papers, and memoranda, as well as more than 150 journal and magazine articles. Fellows also convened close to three hun­dred roundtable meetings on topics ranging from the United Nations and sustainable development goals to China’s technology sector and trends in global shipping. CFR fellows published on average eight op-eds per week and regularly contributed to seventeen CFR blogs. In Council Special Reports, experts provide timely responses to developing crises or contributions to current policy dilemmas. One such report, Xi Jinping on the Global Stage: Chinese Foreign Policy Under a Powerful but Exposed Leader, by Robert D. Blackwill and Kurt M. Camp­bell, chairman and chief executive officer of the Asia Group, analyzes the role of Chinese President Xi Jinping and calls for a new American grand strategy for Asia that “seeks to avoid a U.S.-China confrontation and maintain U.S. primacy in Asia.” In Securing a Democratic Future for Myanmar, Priscilla A. Clapp, former chief of mission at the U.S. Embassy in Myanmar, argues that to ensure the success of Myanmar’s historic democratic transition, the United States should revise its out­dated and counterproductive sanctions policy. In Policy Innovation Memoranda, senior fellows target critical global problems where new, creative thinking is needed. In “Syria: The Need for Diplomacy and De-escalation,” Senior Fellow Philip H. Gordon explores the best chance for de-escalating the war in Syria and achieving a cease-fire. In “Addressing North Korea’s Nuclear Problem,” Senior Fellow Scott A. Snyder outlines steps the United States should take to lead coordinated multilateral action opposing North Korea’s nuclear status that would still leave a denuclearized North Korea a route for regime survival. Senior Fellow Max Boot and Michael Miklaucic, director of research, information, and publications at the Center for Complex Operations at the National Defense University, suggest in “Reconfiguring USAID for State-Building” that the U.S. Agency for International Development should take the lead in fostering better-functioning institutions in cha­otic countries. In “Reforming the U.S. International Military Education and Training Program,” Joshua Kurlantzick argues that this program, which funds training for members of foreign militaries at U.S. mili­tary facilities, should be reformed before it is enlarged. CFR scholars authored more than thirty reports, papers, and memoranda. Adjunct Senior Fellow Daniel S. Markey explains how the United States can promote peaceful relations between the world’s two most populous countries in the Contingency Planning Memorandum “Armed Confron­tation Between China and India,” part of a series that addresses plausible contingencies that could seriously threaten U.S. interests. In other Contin­gency Planning Memoranda, Steven Simon suggests measures to reduce the probability of West Bank violence and minimize its consequences, and David J. Kramer, senior director of the McCain Institute for International Leadership, analyzes the likelihood of conflict between Russia and Geor­gia and suggests what can be done to make this less likely. CFR’s Renewing America initiative produced a progress report and scorecard, “Keeping the Edge: U.S. Innovation.” The report discusses gaps in U.S. innovation policy and argues that the United States may fall behind the rest of the world if it does not invest more in scientific research. In December, the Council released the Center for Preventive Action’s annual Preventive Priorities Survey and updated its online interactive, the Global Conflict Tracker. The survey evaluates ongoing and potential con­flicts based on their likelihood of continuing or breaking out in the coming year and their effect on U.S. interests. Eight of the eleven contingencies classified as high priorities are related to events in the Middle East. New briefs on cybersecurity and internet governance explore the U.S. government’s effort to promote norms of responsibility for cyberspace; suggest how the United States can defend its information and communi­cations technology supply chains against counterfeit products, malicious code, and cyberattacks; outline ways to counter the Islamic State’s online onslaught; and discuss issues governments should consider when con­templating whether and how to respond to cyberattacks. The think tank welcomed several new fellows this year, including Gordon M. Goldstein, former international security advisor to the UN secretary-general, who works on advances in global technology and their consequences for the U.S. economy and foreign policy; Esther Brimmer, former assistant secretary of state for international organization affairs, who joined the International Institutions and Global Governance pro­gram; Brad W. Setser, a returning fellow who was most recently deputy assistant secretary for international economics at the Department of the Treasury and whose work at CFR focuses on the changing patterns of global capital flows, the reemergence of Asia’s savings glut, and finan­cial vulnerabilities in emerging economies; Robert E. Litan, a partner at Korein Tillery, who joined the Council as an adjunct senior fellow and directs a roundtable examining what cities in the United States and around the world are doing to attract and grow new businesses; Reuben E. Brigety II, former U.S. representative to the African Union and permanent representative of the United States to the UN Economic Commission for Africa, and current dean of George Washington Universi­ty’s Elliott School of International Affairs, who joins CFR as an adjunct fellow to work on peacebuilding in Africa; Matthew M. Taylor, an asso­ciate professor at American University’s School of International Service who became an adjunct fellow working on Brazil and anti­corruption efforts; and Jamille Bigio, former director for human rights and gender on the White House National Security Council, who joined as an adjunct senior fellow in the Women and Foreign Policy program to research the role of women in building peace, preventing conflict, and countering violent extremism. In 2012, CFR launched the Council of Councils (CoC), a consortium of policy institutes around the world that discusses major issues in global governance. The group met two times this year, in New York and in Istanbul. The group also released its yearly Report Card on International Cooperation, which evaluates multilateral efforts to address ten of the world’s most pressing global challenges from global health to terror­ism. The report card awards an overall grade for the past year in international cooperation (a B for 2015), suggests the top global challenges that world leaders should prioritize in the coming year, and ranks the issues by opportunities for breakthrough. A full list of CoC members can be found in the report. Task Force Member C. Fred Bergsten, Project Director Alyssa Ayres, and Co-Chair Joseph S. Nye Jr. discuss the India Task Force Report with New York Times Washington editor Elisabeth Bumiller. CFR’s Independent Task Force Program convenes diverse and distin­guished groups of experts who offer analysis of and policy prescriptions for major foreign policy issues facing the United States. The Independent Task Force on U.S.-India Relations, co-chaired by Joseph S. Nye Jr., uni­versity distinguished service professor at the Harvard Kennedy School, and Charles R. Kaye, co-chief executive officer of Warburg Pincus, and directed by Senior Fellow Alyssa Ayres, was convened by CFR to exam­ine recent developments in India, assess its future trajectory, and iden­tify and prioritize further opportunities for U.S. foreign policy. Its final report, Working With a Rising India: A Joint Venture for the New Century, recommends raising economic ties to the top of the U.S.-India bilateral relationship and suggests that the United States and India pursue joint ventures in cybersecurity, global health, climate change, clean energy, and democracy. In January 2016, CFR launched Model Diplomacy, an interactive, classroom-based multimedia simulation program that provides college and high school students with an understanding of the issues, institutions, and processes involved in making U.S. foreign policy. Model Diplomacy pro­vides case studies that address actual or plausible foreign policy challenges, including Israeli-Palestinian Impasse, Russia and NATO in the Baltics, Humanitarian Intervention in South Sudan, Economic Crisis in Europe, Global Climate Change Policy, Drones in Pakistan, Collapse in Venezuela, and Dispute in the East China Sea. As of June 30, instructors at more than five hundred institutions—representing a mix of public and private colleges, community colleges, universities, and high schools—have registered from across the United States and sixty-six countries. Participants at the tenth Religion and Foreign Policy Workshop discuss U.S. policy and democratization in sub-Saharan Africa. CFR also provides educators with dedicated programming, teaching resources, and research tools to help them bring international affairs into their classrooms in an interactive way. Additionally, CFR serves as a forum for educators and students to interact with CFR experts and join discussions on a range of global issues. This year, more than one hundred college and university professors from public, private, and community colleges attended the College and University Educa­tors Workshop to learn about the Council’s resources and discuss best practices for teaching international affairs, bringing the total number of educators who have been through the program to 450. CFR also held the fourth High School Educators Workshop with sixty-two teachers from fifty-one schools, and the tenth Higher Education Working Group meeting, which convenes presidents and chancellors from leading com­munity, state, and private colleges and universities for a day and a half of briefings and conversations on international issues. An annual back-to-school event brought undergraduates, graduate students, and professors to CFR’s office in Washington, DC, for a discussion on international efforts to combat climate change. 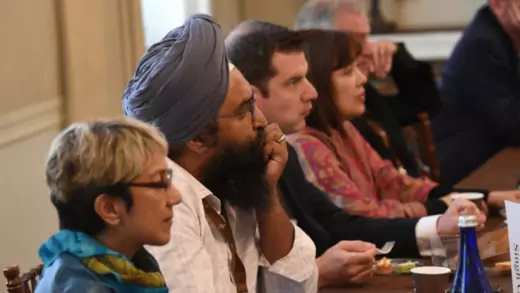 The Religion and Foreign Policy initiative provides a forum for religious leaders and scholars to discuss international issues and topics at the intersection of religion and global affairs. 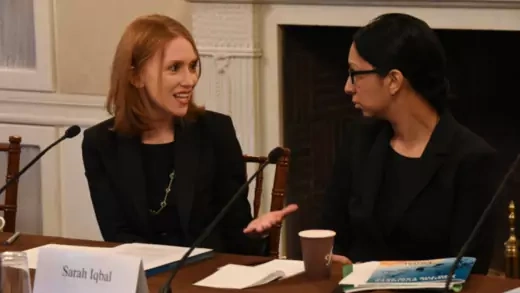 This year, the initiative held roundtables on the roots of religious extremism and the rights of reli­gious minorities, as well as conference calls on faith and environmental justice, religious persecution in the Middle East, and tensions between Saudi Arabia and Iran. In May, the tenth annual Religion and Foreign Policy Workshop welcomed 127 congregational and lay leaders, religion scholars, and representatives of faith-based organizations from forty faith traditions to the Council for discussions on the status of religious freedom and civil liberties around the world, the role of religious com­munities in addressing the global migration crisis, and U.S. policy and democratization in sub-Saharan Africa. CFR serves as an essential source of independent, nonpartisan analysis to inform policymakers and the foreign policy debate. In the 114th Congress, CFR fellows and staff have been called to testify thirty-one times. The Con­gress and U.S. Foreign Policy Program, which holds regular meetings and briefings for government officials, this year arranged meetings with CFR fellows and more than two hundred congressional offices. CFR serves as an essential source of independent, nonpartisan analysis. In its efforts to connect members with senior administration offi­cials, CFR hosted, among others, Department of Defense Director of the Office of Net Assessment James H. Baker, Export-Import Bank Chairman and President Fred P. Hochberg, Undersecretary of Energy for Nuclear Security and Administrator of the National Nuclear Security Administration Frank G. Klotz, State Department Coordinator for Cyber Issues Christopher M. Painter, and Special Envoy for the Human Rights of LGBTI Persons Randy W. Berry. In the seventeenth year of the Ambassador’s Lunch series, CFR brought together small groups of members for policy discussions with the ambassadors of Ethiopia, Greece, Indonesia, Iraq, Israel, South Africa, and South Korea. Finally, the program started a new initiative—the Congressional For­eign Policy Study Group—through which a cohort of twenty-five senior congressional staff members from both chambers and sides of the aisle were selected to participate in off-the-record dinner discussions with CFR fellows and members, allowing participants to interact and debate leading national security, foreign policy, and international economic issues. The group traveled to CFR’s offices in New York in late Septem­ber to attend two CFR general meetings and interact with members of the Council, CFR fellows, and Foreign Affairs senior editorial staff. The publications, analysis, and multimedia content available on CFR.org help fulfill CFR’s mission to be a resource for the public. Over the past year, CFR.org’s editorial staff responded quickly to events with up-to-date analysis and data-rich explainers on Syria, the refugee and migrant crisis in Europe, the South China Sea, and other issues. The website also hosts dozens of expert briefs by CFR fellows, numer­ous interactives, and other resources. The interactive InfoGuide series expanded with editions on Eastern Congo and on the deforestation of the Amazon, the latter of which debuted immersive multimedia features including sound design, an aerial video, and a dynamic map. Seventeen blogs by CFR fellows provide short takes on the news of the day as well as longer analyses and roundups of important events of the week. Additionally, CFR maintains a significant presence on Face­book, Twitter, and YouTube, including broadcasting CFR meetings and analysis by CFR fellows directly to users through Facebook Live. CFR also launched a new website—Campaign 2016: The Candi­dates and the World—which has tracked the foreign policy positions of declared candidates for U.S. president. The interactive site allows users to compare and contrast candidates’ positions on issues including immi­gration, national security, and relations with Russia. It also features a new series of narrated animations, each two to three minutes long, that illuminate some of the complex foreign policy challenges the next presi­dent will face. The site will be continually updated through the Novem­ber election.